Application Fee : ₹ 750/- to be paid by e-challan/Net Banking/.Debit card/Credit card only. SC / ST / PWD/ Ex-Serviceman/ categories and regular employees of MRPL are exempted from payment of Application fee. 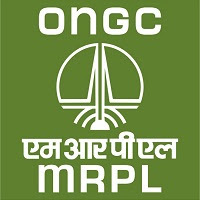 How to Apply: Apply Online at MRPL website from 22/02/2018 to 24/03/2018 .